Tamwyn, a young boy of power, travels with his companions to a cold place where they receive a message through strange visions that are shown on the skies. One of his companions, a girl named Elli, catches Tamwyn’s eye as a beautiful lady, and he begins to craft a harp designed to bring happiness to the girl. As they trudge on through the deep snow, they find a mystical creature who is supposed to be the messenger of “The Lady,”. Tamwyn communicates with the creature only to find that his visions are true and the world is in danger from an evil sorcerer and a evil spirit from the other world. Later, Scree, Tamwyn’s brother is injured and carried to a village where he starts his quest for revenge against the brutal warriors. Meanwhile, the main group divides into 2 teams, one group is to head to the water dragons fortress while the other is to find someway to climb up to the stars. Elli’s group successfully arrives at the water dragon’s to learn that their true quest, to find the crystal that the evil spirit posseses, is in the most feared place of Avalon. 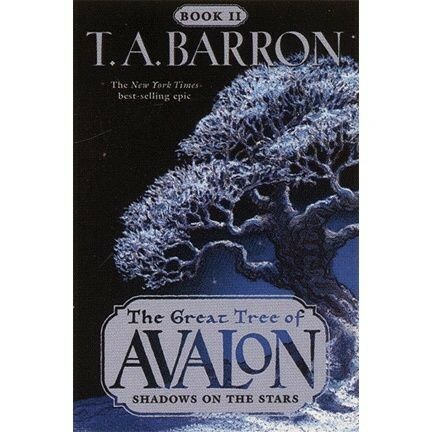 Meanwhile Tamwyn travels far and finds that his father is dead, he then vows to carry on his father’s legacy and save Avalon. Tamwyn, along with his friends, all travel closer to their goal, Tamwyn wanting to carry a legacy, Elli wants to protect her friends, and Scree who wants revenge for his people. When I first started reading the book, I felt as if I wouldn’t be able to keep up with the perspective changes through the book because they all seemed some what similar so I would get confused if this was one person or the other. Later on, I became more familiar with the context difference between the different perspectives. The early division of the group pulled me in to wonder how would they survive if they didn’t have each other. This story tells a very emotional tale of a boy who lost his father when he was young. This book also describes the relationship between father and son, friend and friend, and master and pupil. It is a very well written book. The only weakness I would say it has, is that it could use a more of larger momentum push riding up to the climax. This book is definitely a great pick and I would read the book again if I traveled back in time. I would recommend this book ages 10-14 because it is a great novel that pulls you in while also easy to understand. I would rate this book an eight out of ten. 1. What is Tamwy afraid of when he is holding Ellie’s head? 2. What is the name of the wood that he held and what did he want to carve? 3. How was Tamwyn able to use the magic inside him to heal Scree? 4. What does Lleu say Belamir refers to them as? 5. Why does the torch goes out as Krystallus is swallowed by stone even though it is supposed to burn forever? 6. Why did scree want to kill the Bram Kaie Clan? 7. What does Tamwyn refer to himself as when he is going up he waterfall, desperately needing air? 8. Why do they not trust what the jester says? 9. What did Tamwyn request before the wolf moved in to kill him? 10. Why dos Gwirion want Tamwyn to heal quickly? 11. Why did Tamwyn give mistletoe to Gwirion? 12. What does Elli think of Brionna as? 13. Why did Scree feel bad for killing Maulkee? 14. Why would Ethaun finally agree to take Tamwyn to Krystallus’s grave? 15. What does Tamwyn have to do in order to relight those stars?